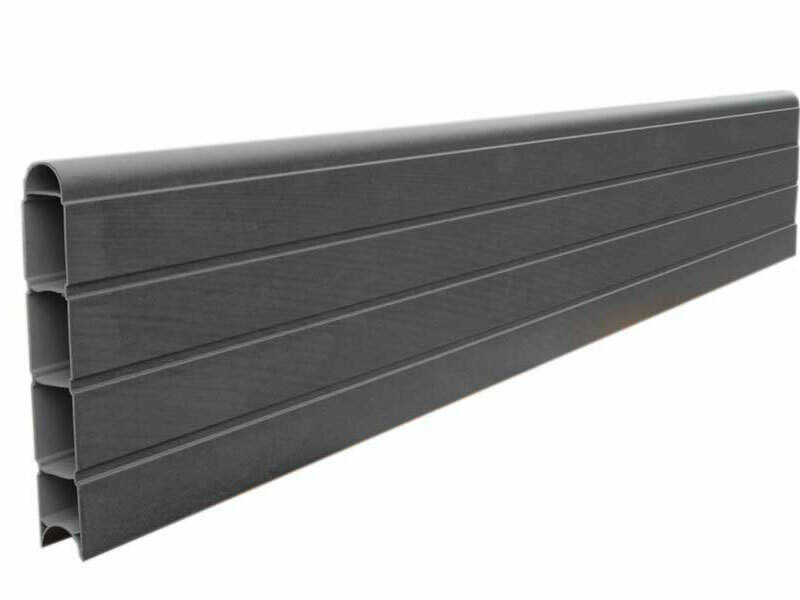 Graphite Grey Eco fencing boards are a paof the easy to install PVC Eco fencing maintenance free system of posts, caps & shaped top panels. They can also be simply slotted into existing concrete fence posts, so whichever you choose, they create a maintenance free and very durable fence. 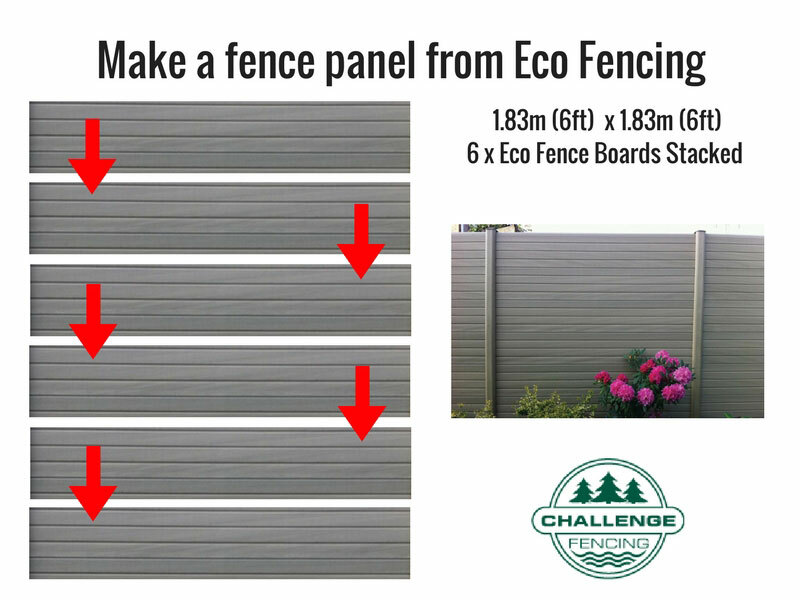 Available in widths of 1.829m (6') and 2.438m (8') and a standard height of 300mm (12"), the boards are simply stacked up to the required height, for example six Eco Fence Boards will form a 6’ fence.